Swiss hard rock veterans GOTTHARD will release their twelfth studio album, "Silver", on January 13, 2017 on Musikvertrieb in Switzerland and internationally via PIAS. The CD was recorded at the Yellow House Studio in Lugano. The third disc with lead singer Nic Maeder was produced by Charlie Bauerfeind (HELLOWEEN, BLIND GUARDIAN) and Leo Leoni. Says the band: "There's reason to celebrate! 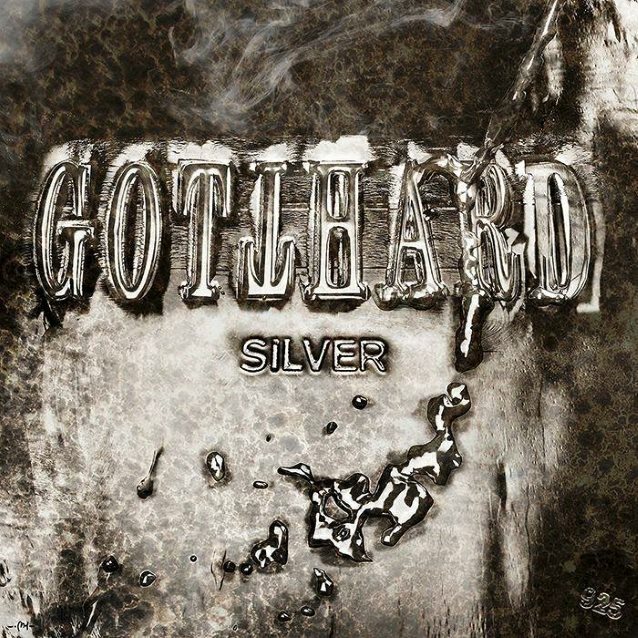 25 years of GOTTHARD mean that we've left Paper, Leather, Wood, Crystal and China behind us, and can properly drink to the Silver wedding. "A quarter of a century of band history is a decent anniversary and appropriately moulded into 'Silver'. "Three months before the official release on January 13th, it's clear that we should pick the little black dress up from the dry cleaners and iron the good shirt, because dressing up for 'Silver' is only fair as the record sports quite a fancy look as well!" "There's no holding us back now, the spell is broken, the baby's got a name! So, here's an exclusive sneak peek while we're at it: During the current mixing of 'Silver', GOTTHARD somehow found the time to prepare and snuck out this little trailer, which we're naturally sharing with you straight away. These 30 seconds pack a punch — including a few beats of the first single." 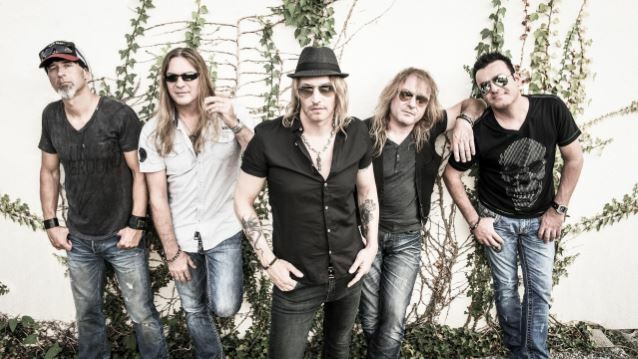 As previously reported, GOTTHARD's new single, "Stay With Me", will be released on November 18. "We were all very happy with the workflow and the result of the 'BANG!' production — so it was pretty clear that we wanted to give the great collaboration another shot!" GOTTHARD stated about working with Bauerfeind again. Immediately after the new GOTTHARD album's release, the band will kick off the "25th Anniversary" European tour in Ravensburg with support from Danish hard rockers PRETTY MAIDS. GOTTHARD's 2012 album, "Firebirth", marked the band's first release with singer Nic Maeder, who was born in Lausanne, Switzerland, lived in Melbourne, Australia and grew up between Switzerland and "Down Under." GOTTHARD's previous vocalist, Steve Lee, was killed on October 5, 2010 in what has been described as a freak road accident in Nevada.